Designed for off-and on-the scalp use, this unique powdered bleach is air blown for less dusting and improved consistency, performance and results. Ideal for highlighting with cap, foil or specialty papers, this mild decolorant develops in 20 to 30 minutes. For the complete removal of oxidized color from the hair. 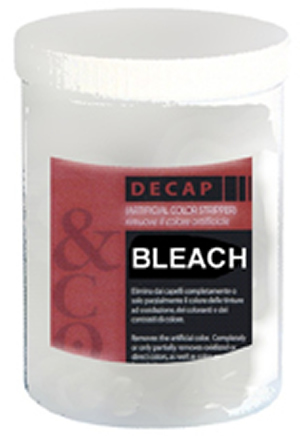 For the partial removal of direct, semi, and demi color from the hair. 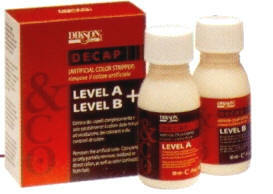 Decap Color Remover does not effect the structure of the hair. 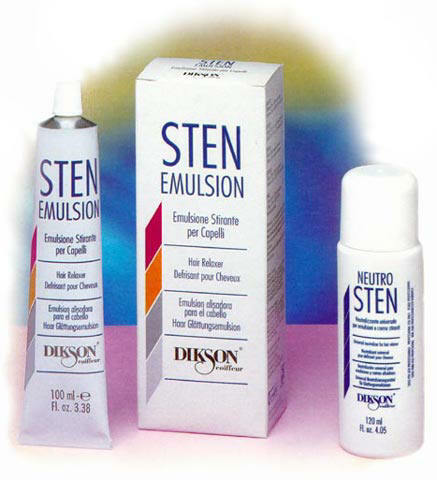 Especially created by the Müster e Dikson Service research laboratories for straightening hair, Sten allows excellent results to be obtained. Thanks to the special cosmetic-treatment ingredients, it respects the structure of the hair, maintaining it intact after each treatment and preventing it from splitting. After application, the hair appears perfectly straightened, soft and shiny. 3) it can also be used on dyed or slightly bleached hair. In these cases it is necessary to apply Sten to damp hair, after a light shampoo. (In order to protect the hair further, we recommend also applying Setamyl beforehand, a product intended for this purpose). For a correct use, read carefully the indications on the leaflet inserted in each pack.